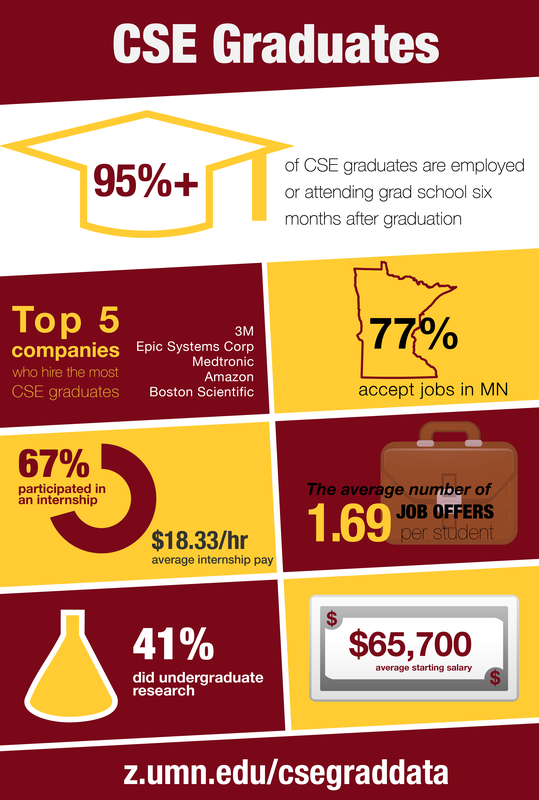 The future continues to look bright for University of Minnesota College of Science and Engineering graduates. They are entering the work force with great internship and research experience. They also typically are among the highest paid bachelor's degree graduates and many are finding jobs close to home fueling the Minnesota economy. *Based on data six months after graduation for the Class of 2015.